Angry Birds. Star Wars. Angry Birds Star Wars. Now that search engine spiders are properly fed, the upcoming console release of Angry Birds Star Wars is set to include some big content upgrades, including a multiplayer competitive mode and a two player co-op mode! Rovio's Angry Birds series can only be successfully ignored by living on a cliff at the western edge of the Sahara. The Star Wars-themed spin-off took the bird flinging physics destruction gameplay and added officially licensed music and characters to the mix, letting you take on Lard Vader and the Empire one slingshot attack at a time. The mobile and PC versions of the game hit in late 2012, but Angry Birds Star Wars is finally making its way to consoles on October 29th. There's a joke about the mobile release and Han shooting first in there, but it's too early to figure it out. Do us a favor and chuckle anyway. 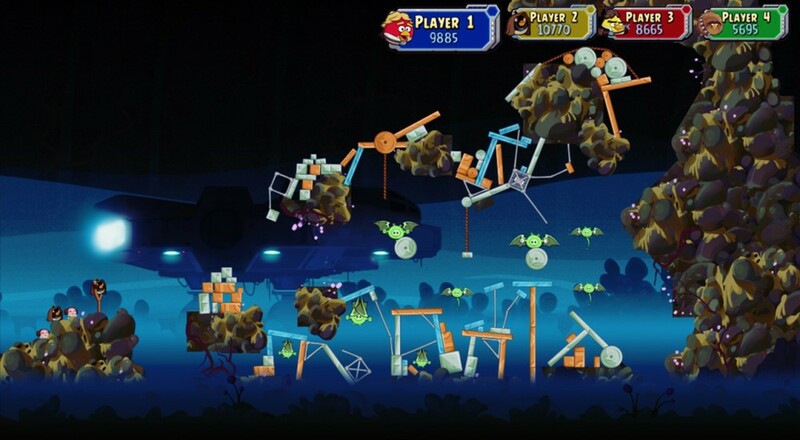 The co-op mode in Angry Birds Star Wars allows two players to take turns flinging birds across the screen to knock down structures built by Pigtroopers. It doesn't sound as cooperative as we'd like it to be, as you could simulate a similar experience by just handing the controller off after each shot. The portable versions will definitely benefit from a dedicated screen per person, but we'll keep an skeptical eyebrow raised until we see more about console co-op. 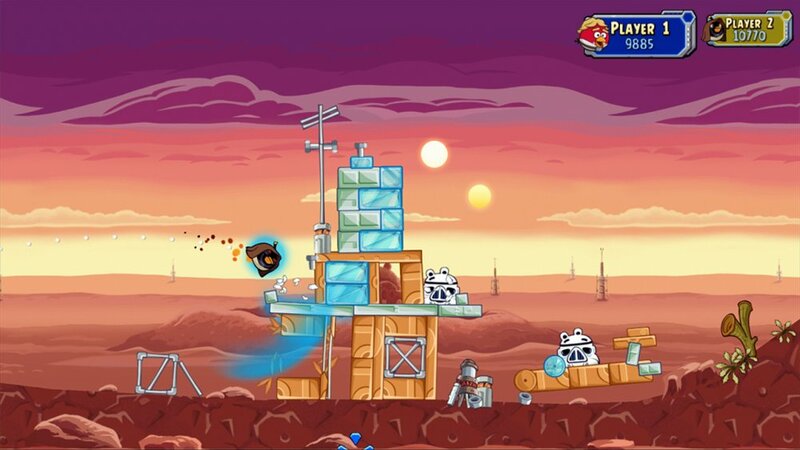 The new installment of Angry Birds Star Wars hits October 29th on Xbox 360, PS3, PS Vita, Wii, Wii U, and Nintendo 3DS. Page created in 1.6575 seconds.